A while ago, one of my most beloved former coworkers told me I food-shopped more than anyone else she knows. There is a lot of truth in that--I love food shopping, I love grocery stores (in Israel, it has taken me a while to start liking them, but slowly-slowly...), I love the shuk (the central market). I even have a wish-list of foods and spices I want to try (rose tea and fresh turmeric top the list), though I suppose that is another post in itself, and one I most certainly plan on posting sometime soon. 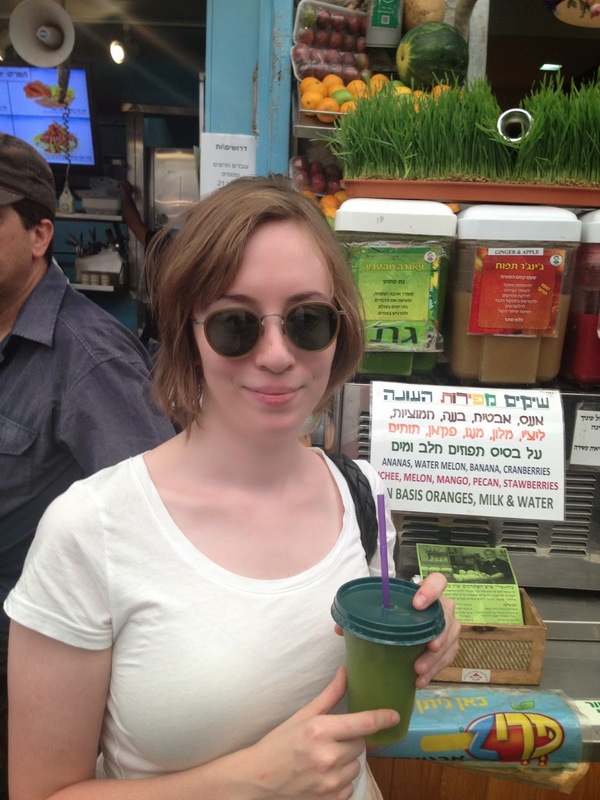 I am home in New York for the holidays, and one thing I have already really begun to miss about my home in Israel (literally five minutes from the amazing Jerusalem shuk) is fresh fruit, and especially fresh juice. Fall in Israel means fall harvest time, and for me that means one thing: freshly squeezed and delicious pomegranate juice. At one of the many juice stands scattered around Israel, you can get juice or shakes (with a base of water, orange juice, milk and sometimes yogurt) made from an enormous variety of fruits or even vegetables. One popular option is orange juice with carrot, a great way to start the morning. I also like banana, date and either sweetened pecans or walnuts with a milk base. The fresh carrot juice and fresh apple juice are also stellar. Strawberry-banana is another no-fail option. 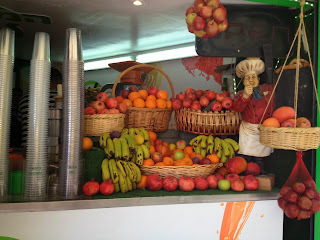 At Grand Cafe on Derech Beit Lechem, you can get a very delicious and sharp juice with ginger.